It’s hard to imagine that only a few years ago, some of our favorite social media channels weren’t part of our everyday routines, much less in our own vocabulary. However, unlike other emerging digital trends from the last few years, social media has evolved into a way of life. Brand awareness and consumer engagement are the primary reasons why businesses embraced social media, though many are still adapting far too slowly. From 2014 to 2015, social media referral traffic to e-commerce sites increased 198%. Today, social media’s tremendous impact on consumer sentiment and behaviour is no longer up for debate. Instead, the question many are asking is: should I be selling through social media channels? 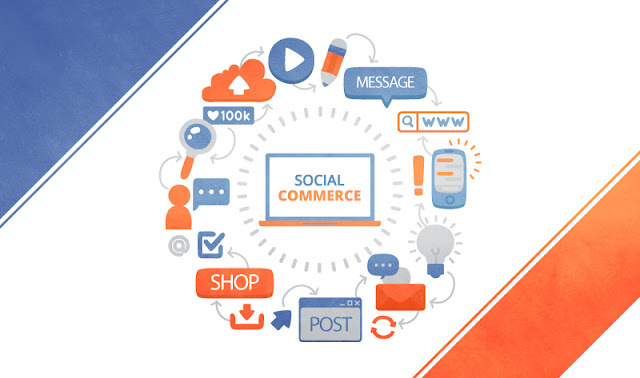 Social media is now taking shape as an untested yet promising e-commerce channel. Through messaging, sharing capabilities, live streaming content and commerce-enabled chatbots, social media platforms present a myriad of ways for businesses to not only reach existing and potential customers, but also enable seamless transactions. With 75% of consumers having heard of social commerce and social buy buttons, it’s clear that awareness exists. And while just 1 in 10 have actually gone through with the transaction, 1 in 5 are open to the idea; they simply haven’t had the chance to give it a try. This reveals a new reality in which businesses can leverage social commerce in the near future to redefine how they interact with and sell to customers on this generation’s medium of choice.